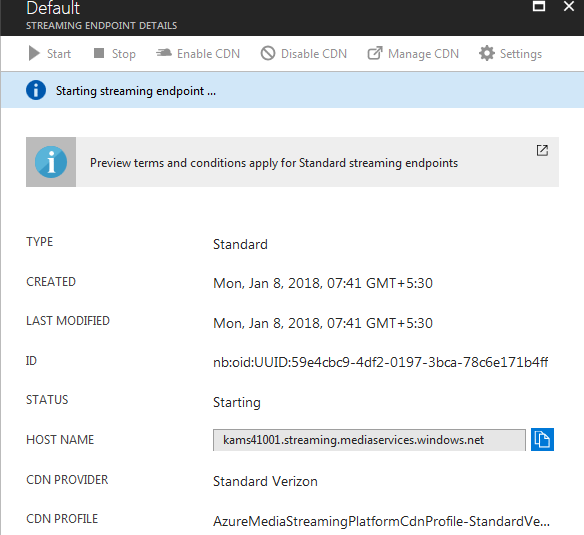 Azure Media Services enables you to securely upload, store, encode and package video or audio content for on-demand streaming, live streaming& Progressive download to various clients (for example, TV, PC, and mobile devices (IOS, Android & Windows)). 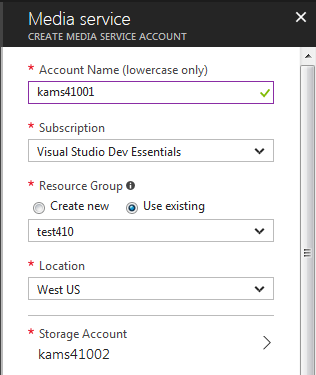 Log on to Azure Portal> Click +Create a Resource> Web + Mobile> Media Services> Create Media Services Blade opens>Enter required information>Click Create. 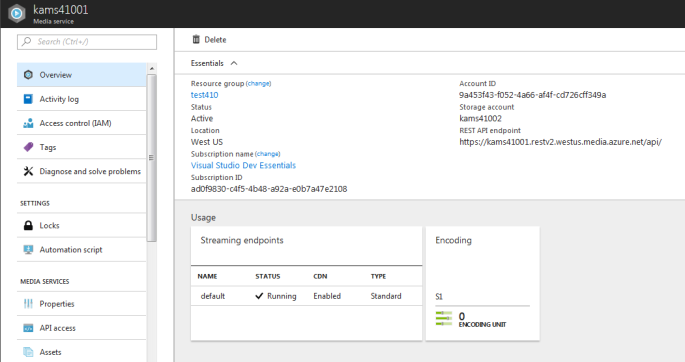 Note: When AMS account is created a default streaming endpoint is added to your account in the Stopped state. Figure below shows AMS Dashboard. In AMS dashboard Click Streaming Endpoints in left Pane>Select the Default Streaming endpoint in right pane>Default Streaming Endpoint pane opens>Click Start Button on top. Click on the link below to read rest of the article.